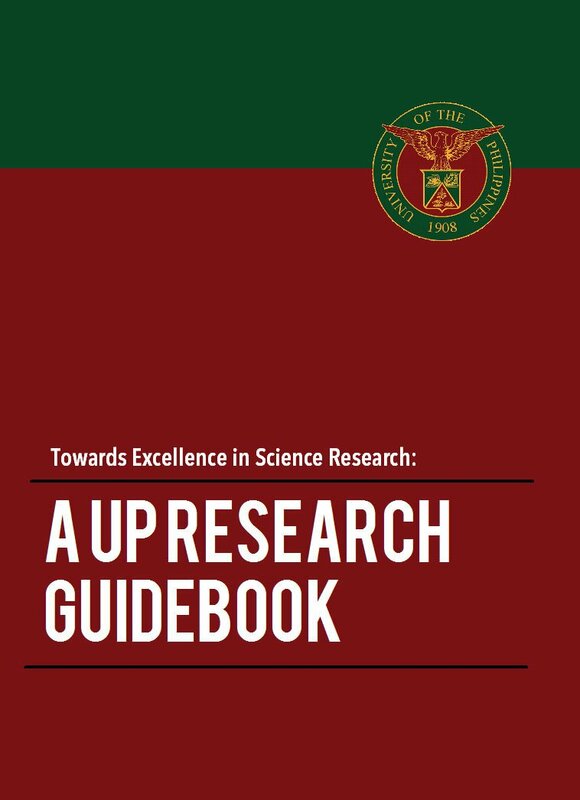 Local and foreign experts from different fields of the earth sciences gathered to discuss new findings and innovations in an international symposium convened by the Rushurgent-Working Group (RWG) of the University of the Philippines (UP) National Institute of Geological Sciences (NIGS). 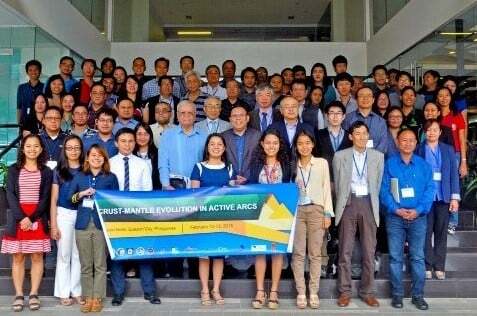 The symposium, titled Crust-mantle Evolution in Active Arcs, was held last February 12 and 13, 2015 at Sequoia Hotel in Quezon City. The first day highlighted new knowledge and scientific data on tectonics, igneous and sedimentary geochemistry, paleontology and geophysics, while the second day dealt with new data that has uses in industry and in geohazard assessment. The symposium, organized by the Rushurgent Working Group under NIGS Professor and Assistant Vice President for Academic Affairs Carla B. Dimalanta (middle of front row), was supported by the UP System. The tone of the first day was set by UP President Alfredo E. Pascual when he discussed the importance of international collaborations in scientific advancement. He congratulated RWG for its initiative to maintain close-knit relationships with universities from different countries, and highlighted the benefits of the Philippine-Taiwan collaboration that started in 2006. Pres. Pascual also mentioned some state-of-the-art equipment acquired through a program funded by the Department of Science and Technology, including the paleomagnetic equipment and electron probe micro-analyzer housed at NIGS – the only one available in the country today. 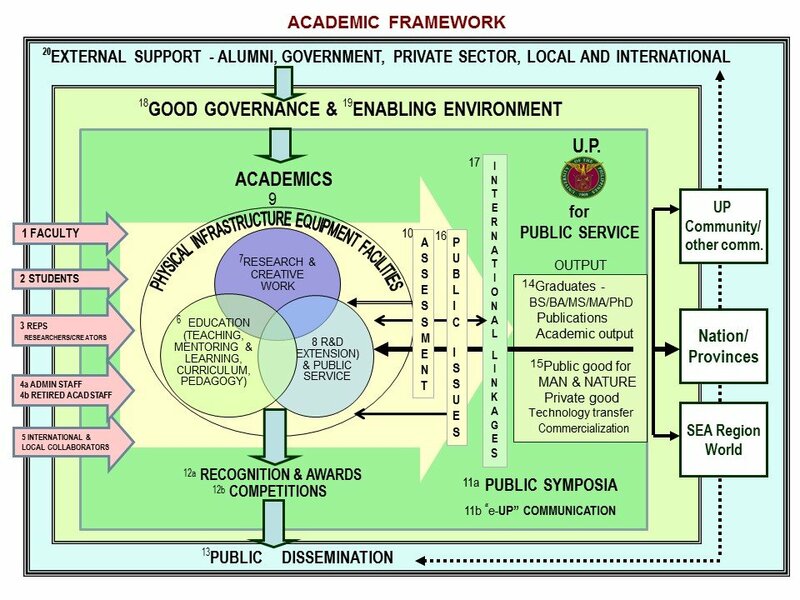 UP President Alfredo E. Pascual delivered a keynote speech on the importance of maintaining international linkages with academic institutions. The second day focused on the latest achievements in geoscience that have applications in the mining, exploration, oil and energy sectors. The day started with a keynote address from Dr. Walter W. Brown, President of Apex Mining Company, Inc. (AMCI) and Chairman of A. 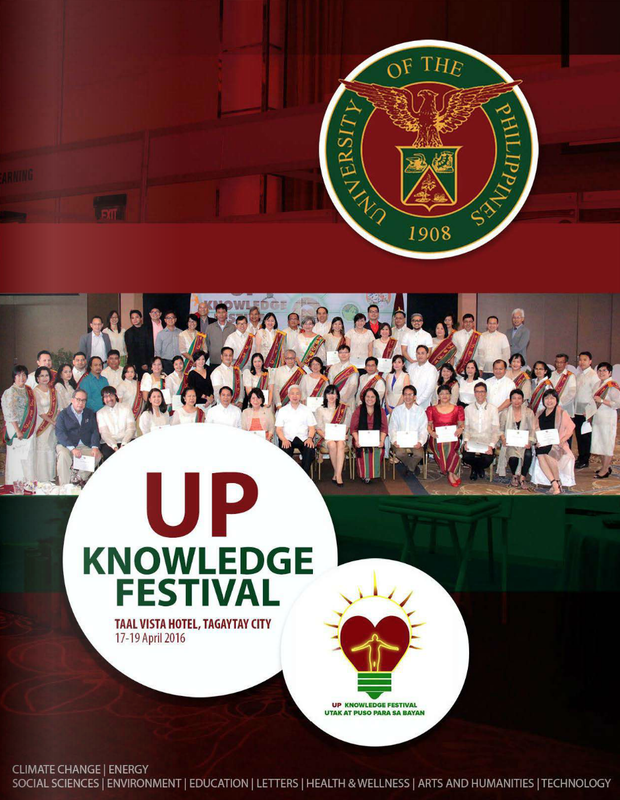 Brown Company, Inc., who emphasized the mutual benefits of collaborations between the academe and industry. 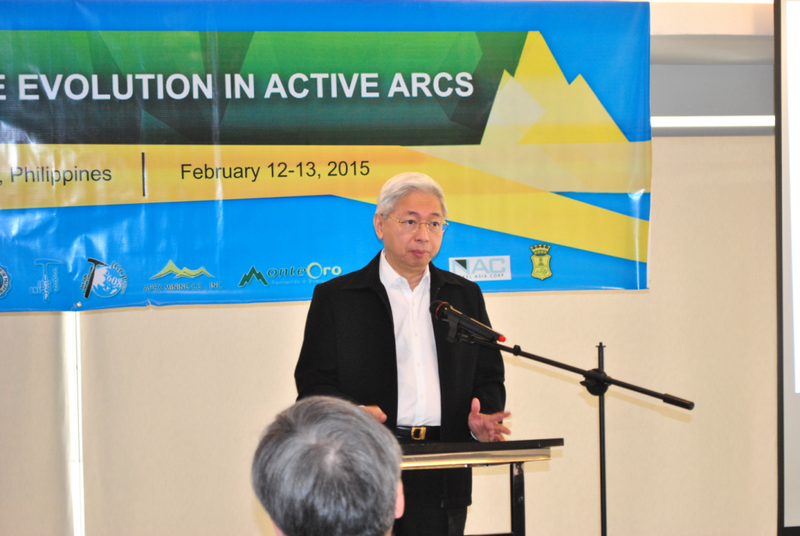 Aside from citing the exploration milestones of AMCI, realized with the help of the dedicated minds of RWG, Dr. Brown talked about how the academe provides a different point of view as well as advanced equipment and techniques to address the needs of the industry. Present during the symposium were participants from Taiwan (National Central University, National Taiwan University and Jinwen Institute of Science and Technology), Japan (Kanazawa University, University of Tokushima, Okayama University and Tsukuba University) and the USA (University at Buffalo, New York). Local presenters came from UP Diliman, UP Los Baños (UPLB), UP Manila, Mapua Institute of Technology, Mines and Geosciences Bureau, Apex Mining Company, Inc., Monte Oro Resources and Energy, Inc., TVI Resources, Philippine Geothermal Production Company, Inc., Macro Asia Corporation, and Energy Development Corporation. A total of 38 oral and 11 poster presenters discussed their most recent findings during the two-day international symposium. The international symposium exemplified the level of success that can be achieved when strong linkages are forged among local and foreign academic institutions and their industry partners. 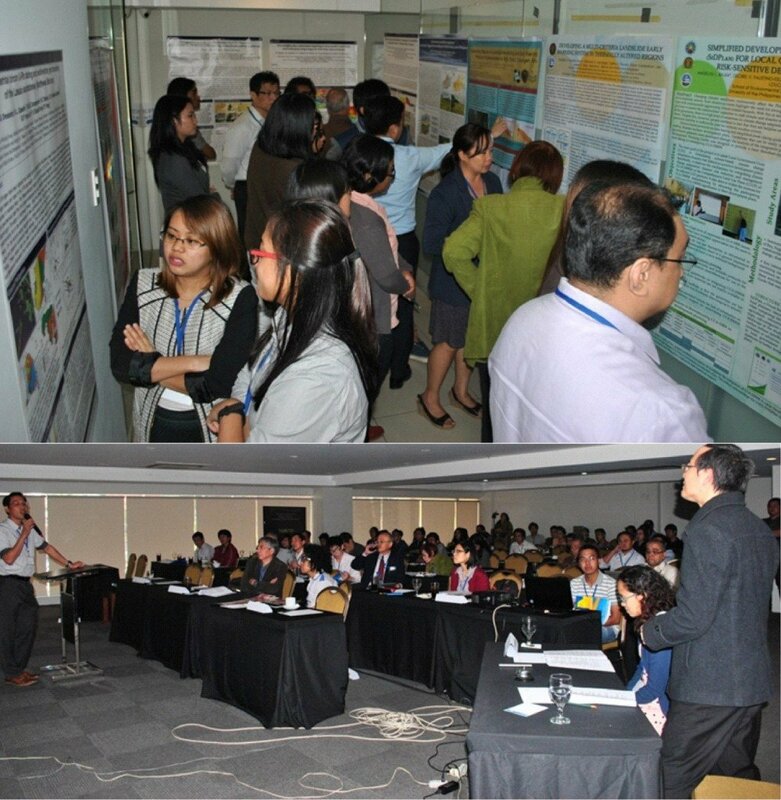 It was organized in cooperation with the School of Environmental Science and Management of UPLB and industry partners Apex Mining Co. Inc. and Monte Oro Resources and Energy, Inc. Additional support was provided by other industry partners such as San Miguel Corporation, Oceana Gold Corporation, Nickel Asia Corporation and Macro Asia Corporation.